The parents of seven-year-old TJ Ramsey hope medical cannabis legalization in Tennessee could help reduce or stop their son's seizures. 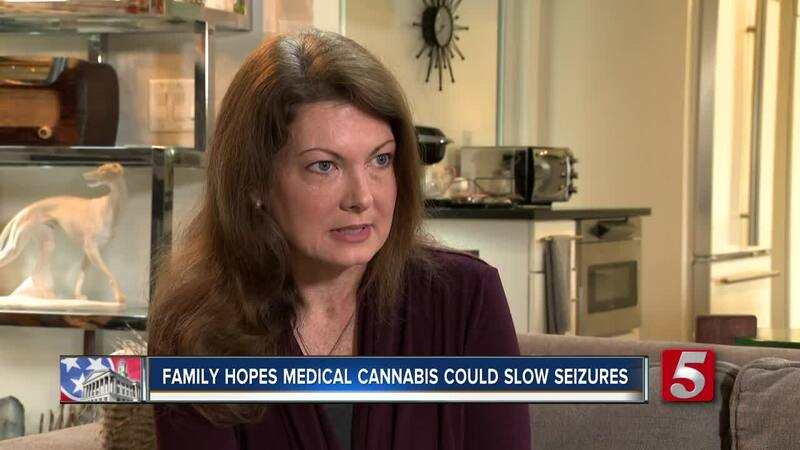 NASHVILLE, Tenn. (WTVF) — The parents of seven-year-old TJ Ramsey hope medical cannabis legalization in Tennessee could help reduce or stop their son's seizures. TJ has a condition called Polymicrogyria. It impacts brain development and causes multiple seizures in the young boy everyday. Two years ago, the family started giving TJ CBD oil. It reduced the number of seizures TJ was having from 20 to just two. "His speech improved when he started taking CBD oil," said Holly Ramsey, TJ's mother. "There hasn't been any downside. Not like the anti-epileptic drugs, which control mood, they can cause depression. They can cause anger. They almost all cause sleepiness. Some of them can cause problems with their cognition. Those are all of the effects that people associate with marijuana that actually doesn't exist when it's taken in small doses in order to help these medical conditions." Since starting CBD, TJ has grown to have a tolerance for it. He's back up to about seven seizures every day. Ramsey believes the next logical step is to start giving her some medical cannabis. But she can't since it is not legal in Tennessee. "It could be," she said. "From what we've discovered from using the CBD oil is that the oil itself is just part of the plant. And the more of the [terpenes] that you have from the plant, the more effect that the plant can have on the body. So, THC is one of the components of the plant, where we've discovered can help children with strong epilepsy." Ramsey plans to support any medical cannabis bill brought before the legislature this year. She believes it could help reduce or even stop seizures from happening. "To me this seems like a very easy decision. Lots of other states have done it. I feel like the reason it hasn't happened is because of more political reasons. More well, big pharma doesn't have a way to make money on it, that sort of thing rather than looking at the benefit to the patient," she said. In 2018, a measure that would legalize certain forms of medical cannabis for certain conditions was shot down in the state senate. However, the measure amde it farther than any previous attempt before it. State Senator Steve Dickerson has already said he plans to bring another medical cannabis bill to the legislature in 2019. However, Governor-elect Bill Lee says he would rather see more of an emphasis on CBD oil research than medical cannabis.